People with diabetes have to be extra careful on the kind of food they include in their day to day diet if they are to maintain controlled blood sugar levels. To most careful planning and having a meal plan is what allow them to consume other foods that have carbohydrates but rich in other nutrients that are essential for diabetes. One of the essential foods that a diabetic person should include in their meal plan is the broccoli. To most people living with diabetes, a healthy meal is one that comprised of whole grains, fruits, and vegetables. This helps reduce the number of fats and calories taken per meal. Also, fish, unsaturated fats, and foods rich in fiber are recommended. To ensure that you keep your blood sugar level low you should avoid saturated fats, trans fats, sodium, and cholesterol. This is why having a basic meal plan is highly recommended so as to prevent taking anything that will cause a drastic rise in the blood sugar levels. 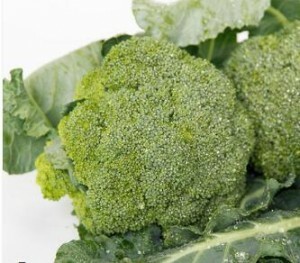 How can broccoli help the diabetic? Typically, broccoli contains 50 grams of calories and 5 grams of fiber in a ½ cup serving. However, this is not the only reason why broccoli is recommended for the diabetic. According to Thornalley P. 2008, broccoli contains a compound known as sulforaphane. This compound has been linked in repairing damages cells. Thornalley conducted tests in the lab using blood vessels damaged by high blood sugar levels trying to find whether sulforaphane would help repair the blood vessels. In a report he published in the journal Diabetes, he found that Sulforaphanes helps repair damaged cells and blood vessels. However, more research should be done and the same tried in human beings. Other than helping repair blood vessels damaged by high blood sugar levels, sulphurophanes together with other phytonutrients found in broccoli can help lower the risk of getting cancer. In particular eating broccoli will help slow down the multiplication of the cancer cells as they spread throughout the body. In a report published in Clinical Cancer Research journal, eating broccoli helps reduce the spread of breast cancer due to the sulphurophane compound in it. Broccoli is very rich in nutrients that are healthy for the diabetic with ½ cup serving containing 50% of vitamin A, 220%of vitamin C, 20% of folate, 15% of vitamin B-6, 10% of magnesium and phosphorous, 6% of niacin and zinc all in comparison to the daily value of each nutrient. 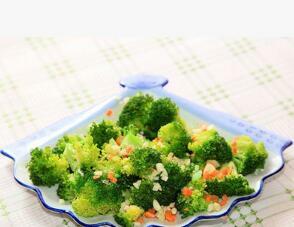 Most importantly, a serving of broccoli it free and only has 10 grams of carbohydrates and 5 grams of proteins. According to UK National Health Services, diabetes can be controlled through medication and a healthy diet. Broccoli makes the cut as a healthy meal since it is very nutritious and ranks low on a glycemic index scale meaning that eating it won’t cause a drastic rise in your blood sugar levels. It is, however, important to note that eating broccoli doesn’t mean that you should stop taking your medication. Approximately 29 million people in America have diabetes. Yes, you read that right, that’s over 15% of the total population. Studies have been done to determine the healthy meals to be included in a diabetes meal plan. In a study that was published in the book Science Translational Medicine, broccoli was found to contain an antioxidant compound “sulforaphanes” which is particularly beneficial to people with type 2 diabetes since it helps then maintain controlled blood sugar levels. Lund University conducted a research where rats with diabetes were used as test subjects. In the experiment, the rats were given sulforaphane extracts after which their blood sugar level was monitored. It was found that taking sulforaphanes extracts reduced the amount of glucose produced in the liver cells, as a result, lowering the fasting blood glucose levels and reversing how adversely the disease affects the liver. Axelsson A the coauthor of the report was compared sulforaphane found in broccoli to metformin which is a medication for type two diabetic. Sulforaphane helps in reducing glucose intolerance in a magnitude nearly similar to that of metformin medication. Unlike, metformin which is associated with having gastric side effects and can have severe effects and health complications to people with kidney problems, sulforaphane has no notable side effects. According to Rosengren A, scientists are considering adding sulforaphane as a supplement to the existing diabetes medications. After this discovery, the research now focused on using human as test samples where people with type 2 diabetes were given sulforaphanes extracts while others were given a placebo. After 12 weeks people who took sulforaphanes extracts registered a significant drop in the fasting blood sugar levels in comparison to the control group. It is recommended that you add broccoli to your diabetic diet but always ensure that you first consult this with your doctor.